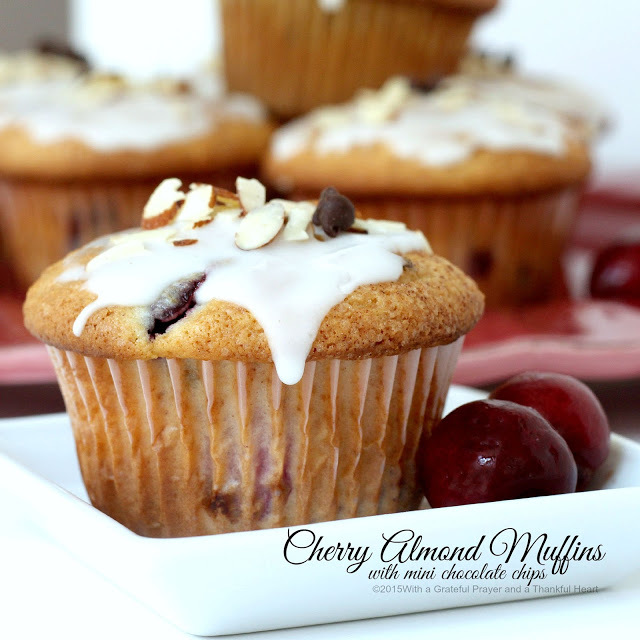 Serving up a plate of muffins filled with fresh cherries, a hint of almond and a surprise of mini chocolate chips. In a bowl, sift together the flour, baking soda, baking powder and salt. In mixer bowl, cream butter and sugar well. Add eggs and beat until smooth. Mix in sour cream, almond extract and lemon zest. Add sifted dry ingredients and blend. Gently fold in cherries and mini chocolate chips. Line muffin tins with paper liners or grease and flour tins. Fill with batter; bake at 375 degrees for 25 – 30 minutes. 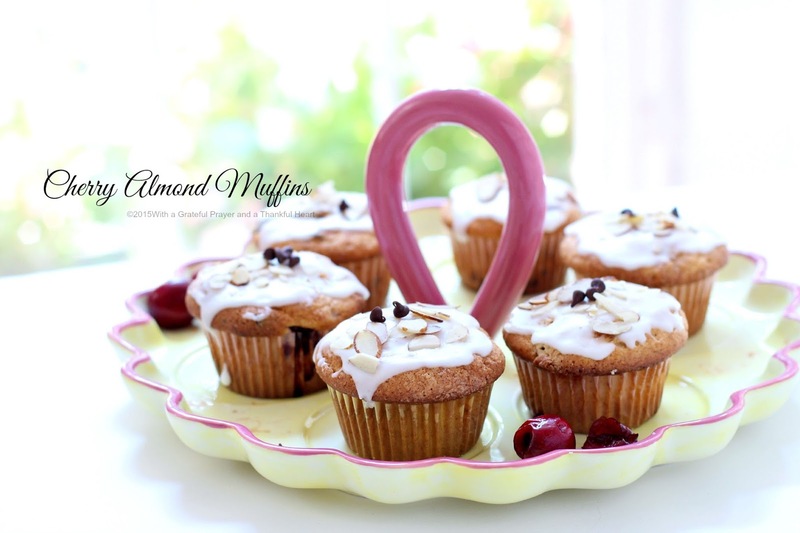 Bake mini muffins for 18 minutes. Glaze: In small bowl, stir together glaze ingredients until smooth. 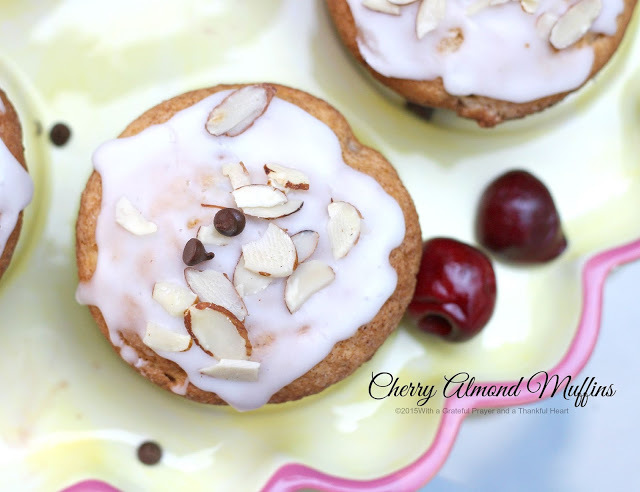 Spread on cooled muffins and top with sliced almonds and a few mini chocolate chips. These look great! You cannot beat muffins. Happy Wednesday. I KNOW that I gain weight just looking at your food photos!! 🙂 These look yummy!!! what a delicious combination of flavors. Fresh cherries? Those have to be mouth watering. Looks wonderful.